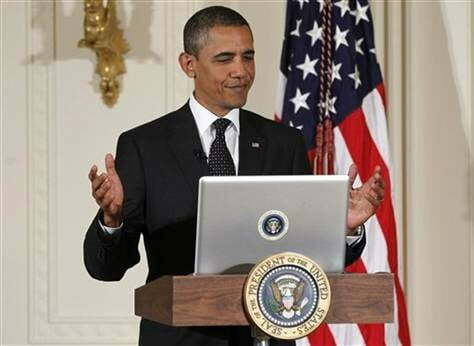 As reported by we reported last week, President Obama hosted a Twitter town hall meeting today. Contrary to Fox News’ tweets earlier this week, President Obama was available for today’s live town hall meeting. There were around 169,395 tweets submitted to the President, which were filtered by a few curators and a computer algorithm before reaching the President. 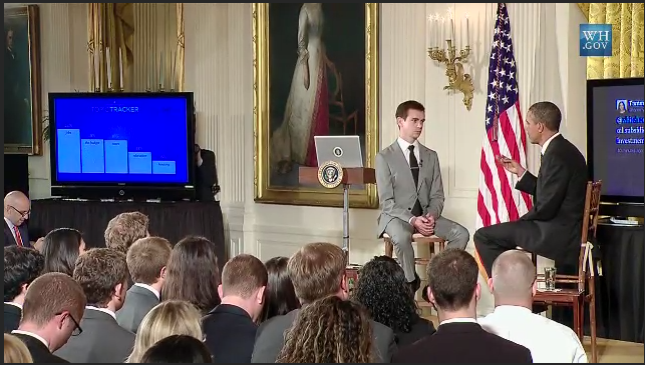 In order to ask the President a question, all you had to do was to include the hashtag #askobama. There were four dominant topics up for discussion: jobs, the budget, housing, and education. Of those four topics, jobs was the most popular with 26 percent of the questions falling under that heading. So understandably the majority of his answers reflected those main topics. The event moved surprisingly smoothly, if you don’t count the fairly robotic tone of Twitter’s Jack Dorsey. While there was no way to prove that the questions weren’t prescreened by the President , it did appear that he had never heard or read them prior to Dorsey reading them to him. It was interesting to see questions asked on Twitter minutes before being read to the President. In a nice twist, there were even a few replies to earlier answers. The folks over at TwitSprout compiled an interesting graphic that outlined some interesting facts about the event. For example, it shows that of the 169,395 tweets to the President, 36 percent of them were spam. As a whole, the event came off as a success, and only time will tell just how the general population responds to it. Twitter is already asking for feedback from the event, and how to improve the process for future town hall meetings.